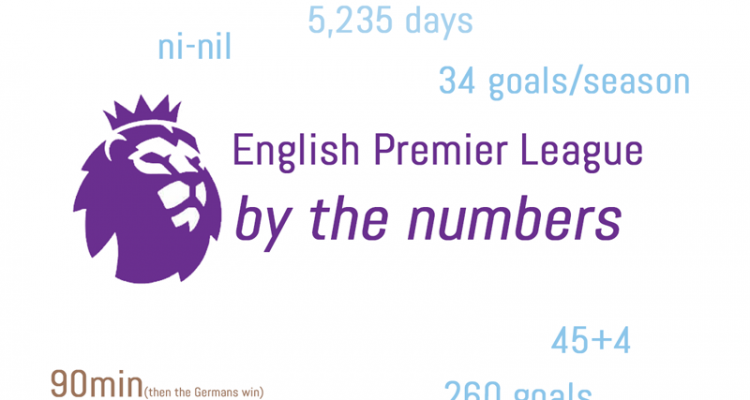 EPL by the Numbers 2018-19 #16. Click for more. It was starting to look like Liverpool might cruise to their first title in 28 years, though few really believed that was ever a foregone conclusion with defending champs Man City still in play. But the matchup of the two sides Thursday at the Etihad did seem do or die for City as a loss would have left them a full 10 points behind Liverpool. But a 40th minute goal from, who else but Sergio Agüero, gave them the lead and, after Liverpool had equalized though Firmino in the 64th minute, Leroy Sane became the hero with a 72nd minute winner. Liverpool still have a four-point lead over City and six over a surging Tottenham, but the race is truly on again now. Meanwhile, United remain perfect under their new manager with a 2-0 victory at Newcastle Wednesday which, coupled with a 0-0 home draw for Chelsea, suddenly finds them only six points out of the top 4. Arsenal who rebounded to beat Fulham 4-1 Wednesday, are only three points off fourth after a poor run saw their chances of Champions League football appear to take a serious hit. Leicester City have been slumping a bit of late, but their 1-0 victory at Everton means they take up the seventh spot in the table while the Toffees are down to 11th (from sixth back in November). At the bottom of the table, Southampton, Fulham and Huddersfield take up the relegation places, with Cardiff just outside on 18 points alongside Burnley and Newcastle. Burnley played out a 10-on-10 match with Huddersfield they won 2-1 to jump out of the bottom 3, while Southampton’s aforementioned point at Stamford Bridge was not enough to escape the drop zone for now. The weekend saw the third round of the FA Cup third completed and there weren’t too many upsets, with Chelsea, Arsenal, City, Tottenham and Liverpool all safely through. Fulham did lose 2-1 to Oldham Athletic at Craven Cottage, Leicester 2-1 to Newport Country, Cardiff were knocked out by Gillingham and Huddersfield by Bristol City and Southampton will have to replay Derby County and Newcastle Blackburn. Actually, it appears the bottom of the table fared just as poorly in the FA Cup this weekend as they have in the league. 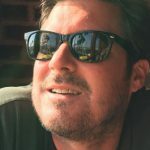 Around Europe, the Bundesliga is still on break for a couple more weeks (with Dortmund currently leading Bayern by 6 points) as is Serie A (where Juve are 9 points up over Napoli and well on their way to an eighth straight title), while Ligue Un starts back up with a couple of makeup matches this week (PSG currently leads by 13 points over Lille). Barcelona lead La Liga by 5 after their 2-1 win at Getafe coupled with Atlético and Valencia splitting the spoils 2-2 in a key two versus three matchup. Meanwhile, Real Madrid fell further behind in the race (10 points) after an early penalty and a Lucas Vazquez red led to a 2-0 home loss to Real Sociedad. Incredibly, Real are currently in fifth place, behind Alavés with only one more match to the halfway point of the season. Do you think they might miss number 7 just a tad? The NFL playoffs also began this weekend, with Indianapolis continuing their recent hot streak with a 21-7 win at Houston as Luck threw for two TDs and the Dallas Cowboys coming back from deficits twice to beat their recent nemesis Seattle Seahawks 24-22. On Sunday, the Chargers held off a late Raven’s comeback of a game they had dominated to win 23-17 and the Bears lost in heartbreaking fashion to the Eagles, 16-15 after a missed FG at the death. And there was a National Championship game Monday Night as well … see below. 0-7-11 – Claudio Ranieri’s record against Arsenal in his career after Fulham again fell victim to the Gunners, 4-1 this time after conceding 5 in the reverse fixture. Aaron Ramsey has been particularly impressive against the Cottagers, with his two league goals of the season coming in their two matchups. :38 – It took Romelu Lukaku only that many seconds to score the opener as Manchester United won their fourth in a row under Ole Gunnar Solskjaer 2-0 at Newcastle. That was even better than the two minutes it took him to score in his last appearance Sunday. The fourth victory to start his coaching career surpasses Mourinho and left him tied with Busby … though he made it five with a 2-0 victory over Reading Saturday in the FA Cup. 2 – Joe Willock scored the first two goals as Arsenal won their third round FA Cup match at Blackpool 3-0, the second time they have beaten the side in a Cup competition, having already knocked them out of the League Cup 2-1 earlier in the season. Willock also had a goal in the Europa League this season and looks like a talent for the future. 2 – Arsenal finally secured their second halftime lead of the season, 1-0 over Fulham, to couple with their lead over Burnley earlier in the season. They have trailed in 7 others and been even in 13. 2-2-3 – Everton were up to sixth after a good run that culminated in a strong November. Since? They have won 2, lost three and drawn 2 others as they have fallen to 10th. That trend continued with a 1-0 home loss to Leicester on New Year’s Day. James Vardy celebrates scoring the only goal as Leicester beat Everton to make it 3 of 4 as Claude Puel hit his 50th league match in charge of the former champions. 3 – The Cowboys beat Seattle 24-22 to win only their third playoff game since 1996, a year after they won their third Super Bowl of the 90s. They haven’t won two in a single playoff since back in 1995, a rubicon they will try to pass next weekend. Dak Prescott is now 1-1 in the playoffs and the youngest Cowboy QB (at 25) ever to win a postseason game as Garrett moved to 2-2 (in 8 years in charge). Elliott, by the way, became the first player since Emmitt Smith to touch the ball more than 30 times in a Dallas playoff game, rushing for 137 yards on 26 carries with 4 catches for another 32 yards and a TD. 5 – Chicago placekicker Cody Parker had a chance to win the game Sunday with :10 seconds on the clock and the Bears down by a point. He made the first attempt, but with the usual timeout right before. And then, for the fifth time this season, he hit the upright, it bounced off the base bar and out. A centimeter the other way and Chicago’s season would continue. And the Bears could have avoided last year’s Super Bowl champs if they didn’t beat the Vikings last week (easy to say in retrospect, though several sports pundits mentioned it right after the game). Cody Parker watches his field goal attempt bounce off the goal post and out as the Eagles celebrate in the background. It turned out, the kick was touched by an Eagle defender just enough to make it miss. 7 – Total points by the Houston Texans in two of their past three Wild Card games at home, the latest being a 21-7 loss to the Colts Saturday and the other a 30-0 loss to KC back in 2015 (they did win 27-14 over the Raiders two years ago, to be fair). The Colts are 10-1 in their last 11 (after having a 4% chance to make the playoffs on October 15) and will now face KC at Arrowhead. KC will be favored with the best record in the AFC and only the third quarterback ever to hit 50 TD passes in a season, but they are the same side who haven’t won a playoff game at home since 1993 and only one of their last 12 postseason games in total! 7-0 – It sounds like a bad American football game, but no, this was Man City’s score as they dismantled Rotterham United in the third round of the FA Cup. Sterling, Jesus, Mahrez and Sane all found the back of the net, as did youngsters Foden and Ajayi. But they weren’t the first to manage that score this weekend, an honor that belongs to Tottenham, who did the same at Tranmere Friday night. Midfielder Phil Foden celebrates scoring the second goal as Man City romped past Rotterham. They one upped themselves today (Wednesday) by putting nine past Burton Albion in the first leg of the League Cup semifinal. 9 – The Denver Nuggets are currently leading the Western Conference over, well, the Golden State Warriors. But one team they just can’t seem to beat is the Houston Rockers, who beat them for the ninth straight time Monday. 9 – Between 2000 and 2012, 9 teams made it out of the opening weekend of the playoffs and made it to the Super Bowl. Since 2013, zero. Could this be the season to end that streak? 13 – Real Madrid’s haul of only 30 points in 18 matches, after their loss Sunday, is their worst haul in 13 years. New coach Solari has some positive results early on, but the side have tailed off since, including a solitary point from their two matches in 2019 so far. Real players didn’t want to show their faces to the generally unrelenting and unforgiving home fans as they lost another match at the Bernenbéu and their second in the league in a row 2-0 to Real Sociedad, with William Jose and Ruben Pardo scoring while Real’s Lucas Vazquez saw red. 14 – It has been 14 months since Samir Nasri last played in an official match until Saturday, when he got a surprise start as West Ham rolled past Birmingham 2-0. His last action was in November 2017, after which he served a 13-month ban for doping (based on his own post receiving an IV on social media!). The former Arsenal and City midfielder acquitted himself well and could well become an important player for the Hammer’s run-in. 15 – Arsenal have won 15 of their last 19 at home, unbeaten in their last 10. Their opponent last Tuesday were quite hospitable guests, having conceded 47 goals this season, the most of any side in the top European leagues. However, Fulham did score to make it one clean sheet in Arsenal’s last 14 for a side that still has major defensive improvement to make if they are to finish in the Top 4. 19 – Thierry Henry has not been able to transfer his magic from the pitch to the manager’s seat yet, with his Monaco side sitting in 19th place in Ligue Un at the winter break, with a record of 4-2-9 in all competitions since he took over in mid-October. However, he has led them to wins in the Coupe de la Ligue Round of 16 and French Cup Round of 64 in the past few weeks and they have won three of their last 6. Relegation would be a disaster for a side that was in the semis of the Champions League and shock winners of the league less than two seasons ago (2016-17). 41 – Years since Tottenham have conceded a goal to Cardiff. They came into the match Tuesday with 7 clean sheets in the league and kept that streak going with a 3-0 win and their 8th of the league campaign. Son Heung-min continued his recent hot streak by scoring the third in the 26th minute, following goals by Kane and Eriksen. Tottenham have been hot after a lukewarm start and are now only six points behind Liverpool. 93.8 – Percentage success rate for Michael Bagley of the Los Angeles Chargers during the regular season (15 of 16), a record for rookie kickers. He scored all 12 of the Chargers points as they built a 12-0 half-time lead at Ravens Stadium, then missed his first of the second half before scoring another as the Charger won 23-17. The Ravens kicker, Justin Tucker, was even hotter in his playoff career, going 100% on his first 9 attempts before missing a 50-yarder at 12-3 that seemed to stem building Ravens momentum. 1897 – The last time a team won 15 games in a College Football season. Clemson became only the third side to do it undefeated ever and, obviously, the first in 121 years. They beat a previously undefeated, defending champion and favored Alabama 44-16, scoring the last 31 points, going 10-15 on third down, not turning the ball over and, maybe most incredibly, only one penalty in the whole game as they held Alabama scoreless after the first quarter. Scouts say Trevor Lawrence would go #1 in the 2019 draft, but current rules mean he will have to wait two more years before his payday comes. Dabo Sweeney isn’t complaining, with a chance to add a third championship in the offing. 1985 – The last time a true freshman won a National Championship before Monday, when Trevor Lawrence led Clemson to the aforementioned blowout win over Alabama. He went 20 of 32 for 347 yards and 3 TDS, while Alabama’s hero from last year’s title game Tua Tagovailoa went 22 of 34 for 295 and 2 TDS himself, but also two costly interceptions and an inability to convert third and fourth downs. Nick Saban, by the way, is 6-2 in National Title games, with both losses coming to Clemson and Dabo Sweeney. And this was the worst loss, by margin, of his entire Alabama career. 71.3 million – Wunderkind Christian Pulisic just become the most expensive American footballer ever at the tender age of 20. He expressed his desire to leave Dortmund a while ago and they have finally let him go, though he will he loaned back for the remainder of the season to help the Bundesliga side try to hold onto their lead and win their first title since Klopp’s back-to-back titles from 2010 to 12. It was a power move by Chelsea reminding their now richer neighbors that they can still overpay to get their man. No Comments on "EPL by the numbers: Match Week 21, Title race back on"